Happy Saturday! Time for a couple of rare direct gameplay Saturday posts. 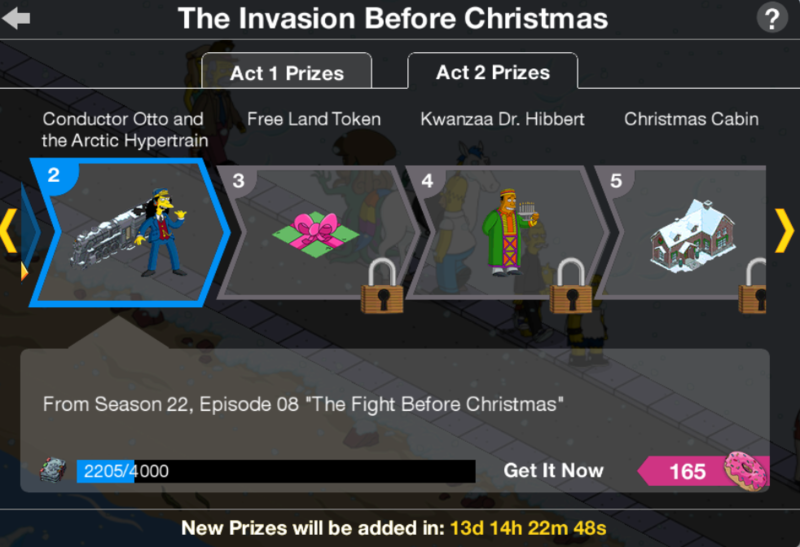 With this event shortened, and a few holidays we were running out of time to get everything posted before the event ends! 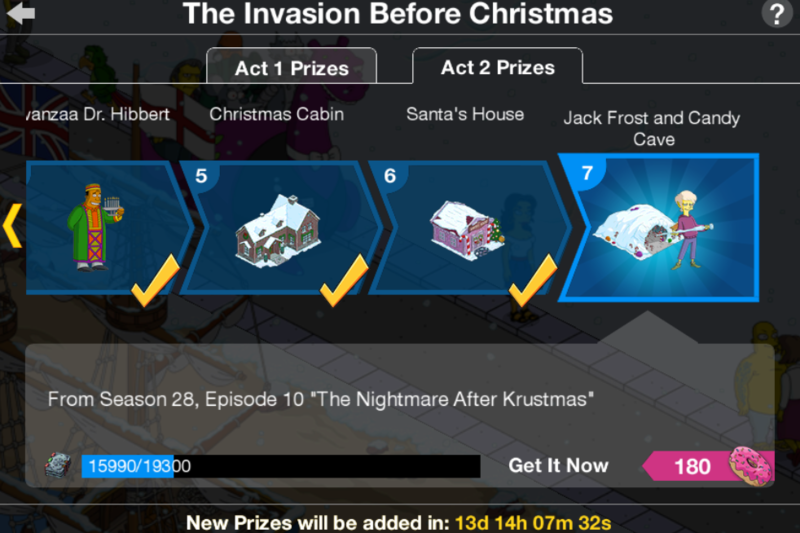 So I’ve got the last 2 Act 2 prize breakdowns coming to you today….Santa’s House (this post) and Jack Frost (later today). 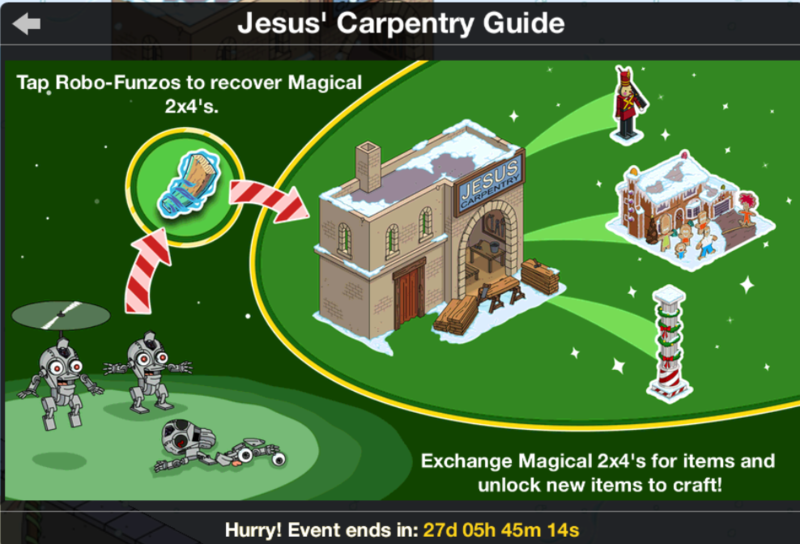 Should I Spend Donuts on the Returning Items in the Holiday Bazaar Round 3? 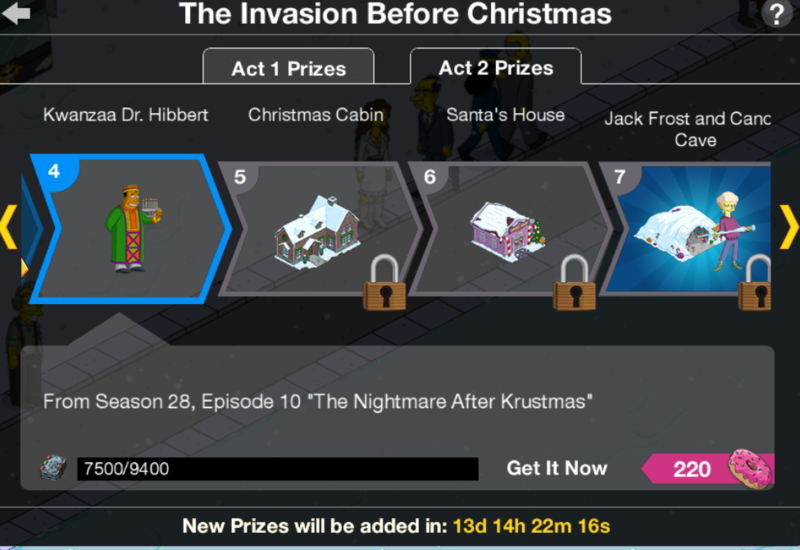 Should I Spend Donuts on Krusty Kristmas on Ice? 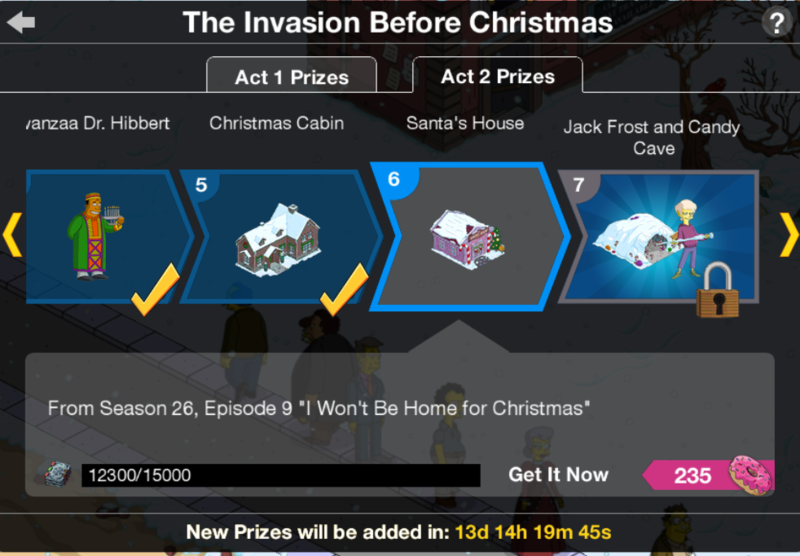 The fifth Act 2 Prize awarded at 12,300 is the Christmas Cabin…because nothing says Christmas like a cabin in the woods with REAL floors! 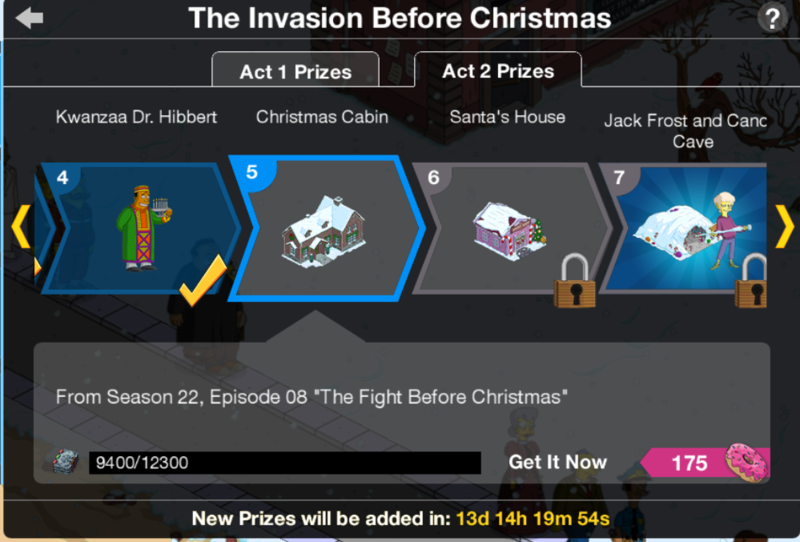 The fourth Act 2 Prize awarded at 9,400 is Kwanzaa Dr. Hibbert…because it’s about time Kwanzaa got a little appreciation. Should I Spend Donuts on Tire Fireplace?